Attention all you LPOIC members, anglers and more importantly, Mothers and Fathers. 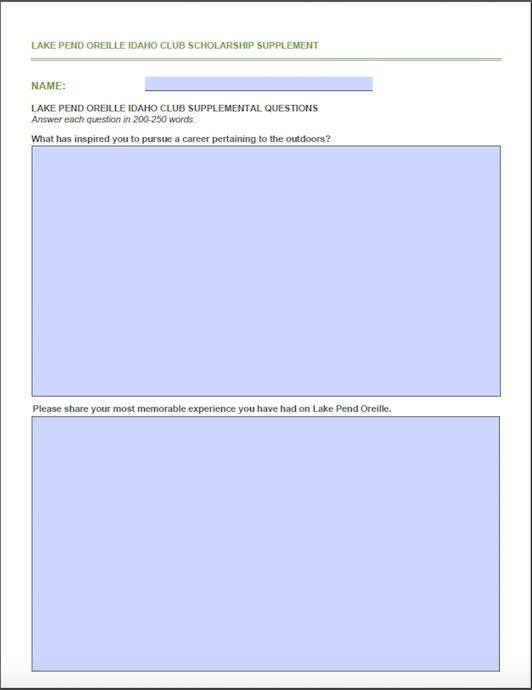 Lake Pend Oreille Idaho Club is always looking for ways to improve our lake, our fishery, our club and now our community. For a club that started some 70 years ago, the community of Sandpoint has been a big supporter of the LPOIC and our activities. This year, we’ve decided to give back to our community and the students who help to make our community a great place to live, work and play. This year, the LPOIC will be awarding a $500.00 Scholarship to a graduating senior from Lake Pend Oreille School District, which includes Sandpoint High School, Lake Pend Oreille Alternative School and Clark Fork High School. We hope in the coming years to expand our Scholarship Fund to include another $500.00 scholarship that will expand outside of Bonner County, especially because we have so many members and anglers from out of the area. In addition to that, if we can raise enough donations, we will offer two continuation scholarships for students who continue onto their sophomore year in college. If you have a son or daughter interested in advancing their education, please feel free to fill out the application, which can be found below and at Sandpoint High School or our Facebook Page. 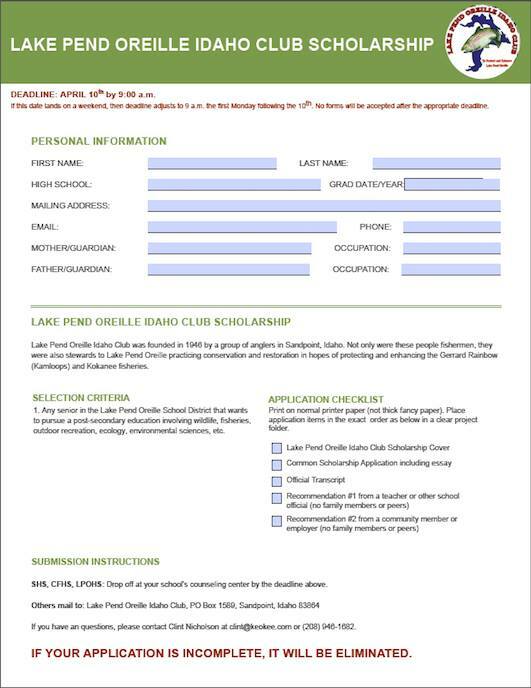 If you are interested in making a donation helping us meet our goals for scholarships, please feel free to speak to any board member, or you can send your generous donation to Lake Pend Oreille Idaho Club, P.O. Box 1589, Sandpoint, Idaho 83864.